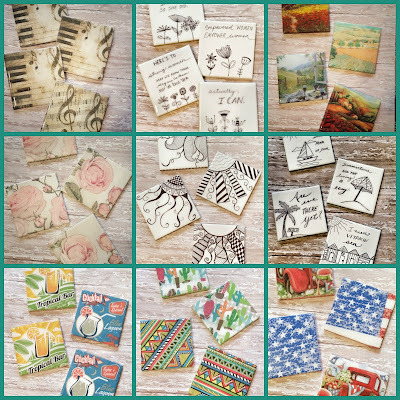 Empty Nest: How Do You Play? Play takes on many forms during our lifetime. When we're growing up we were probably played with instead of playing. Babies are such fun to play with and the interaction is a vital part of their learning process. We enter the toddler phase and we begin to play by ourselves and with our parents and others close to us, there's probably still more adult interaction than kid-to-kid until we enter the preschool years wherein we learn to play with others. Our play time goes from all day long play to recess when we enter school unless you're the class clown that is. We grow and grow and maybe we decide to play sports or play an instrument but we're still active as long as we don't spend all our free time in front of the television playing video games. It seems our teenage and college play turn to what we view as more sophisticated and it's called partying. We get older and have kids and we play with them and the cycle continues. I have entered the very best phase of playtime. It's called being a grandmother and I love it. I am one of the lucky ones who get to spend every weekday with my granddaughter and we spend hours playing. We play with stuffed animals, puzzles, blocks, balls, toys, and we read books. We play peek-a-boo and chase. We sing and play the xylophone. We play Baby M climbs on everything while Grandma has a heart attack. We play in the baby pool and we play with bubbles. We play reorganize Grandma's kitchen cabinets. We play and play and play all day long. And it's fun! This weekend (yesterday) Baby M had her first birthday (y'all can see the video HERE). I can't believe how quickly the year flew by. I'm just so grateful to live close enough to take care of her while her parents work. Because playtime is just the best when you're a grandmother. 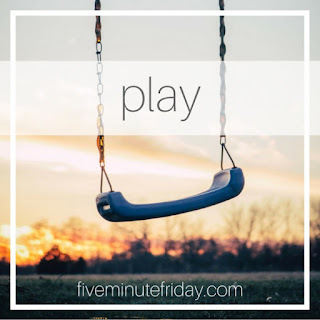 This post is linked to Five Minute Friday where we write for five minutes about the prompt without stopping. Well, not really linked. I'm leaving the link for y'all in case you want to head over there and join in the party. But I'm just writing because I can't seem to stop after 5 minutes and no one really comes over to read here. I am not complaining at all. It's a fun idea and I love trying to write something about the prompts. I also like trying to stop at 5 minutes but I can't. Yes, I write like I talk. Ha! Loved your post and memories! Yes, we played differently when we were kids than they do today. We were outside all the time if we weren't in school. Now, kids are stuck in front of screens...TV, computer, phones. Kind of sad. So play with that little one as long as you can before she discovers social media!! It really was different. I have to wonder, though, if it's at least a little bit attributed to the safety issue today. You just can't trust people like you used to. But there are still ways to play without being in front of a screen. I think all their screen time is sad, too. And maybe a bit lazy? I'm playing! Every day! That's great! We don't sit in front of screens here, either. But there sure are many who do. Play is such an important part of our lives--throughout our lives. I consider pretty much anything I do for the pure joy of it play. I love to be silly with the grandchildren, read, hike, play Yahtzee, get my nails done, read blogs like yours! Thanks for sharing. I agree with you. I am having a blast being silly with my granddaughter and will have even more fun when my grandson arrives next month. :) You are too sweet! Thank you for reading and commenting! Great reminder that we all need to play, at whatever age. I sometimes think I've forgotten how to play. But, I believe that play is what keeps us young at heart, curious, and alive. I agree. I wish all the play I'm doing would make me thin, too. LOL Thank you! I know you're loving every minute you get to spend with your precious grandbaby. Thank you Pam for attending the #WednesdayAIMLinkParty. I pinned your post on Pinterest and shared it on Facebook, Google+, and Twitter. I really am. Thank you for all you do for all of us!